Rejoice and be glad! Emmanuel… God is with us! That’s Filled With God’s Manifold Blessings Always! to all visitors and friends to our garden website. through the years are much appreciated. We look forward to your continuing support and encouragement. 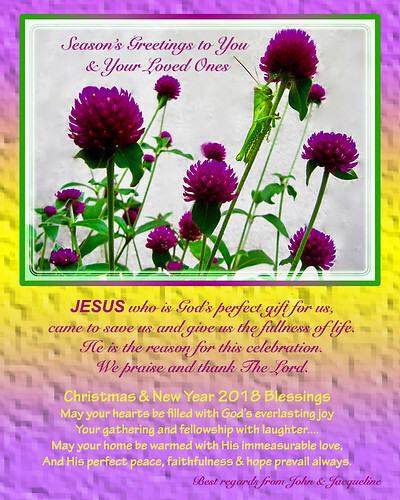 God bless you and your beloved family always! Thanks a lot, dear Yara. Merry Christmas and a happy, joyful, blessed and healthy 2018 with God’s choicest and manifold blessings always to you and your loved ones.